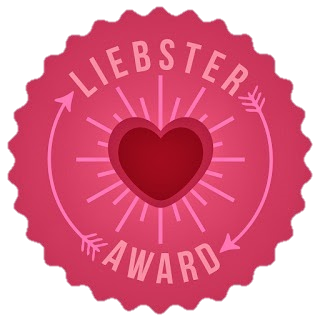 "Liebster Award" is an award given to bloggers by bloggers aiming to spotlight amazing new blogs with less than 200 followers. There are so many great blogs out there and Liebster Award post is a great way to get to know about them. Ask 11 new questions to 9 bloggers with less than 200 followers (You cannot re-nominate the blog that nominated you). Go to their blog and tell them that they have been nominated and leave a link to your post. 1. My dream is to become a journalist, doing what I love every day. 2. My favourite TV show is Dance Moms. 3. I love English and hate Maths. 4. My favourite colour is mint green. 5. My favourite movie is The Bling Ring. 6. I like being creative. 7. I can't wait for The Fault In Our Stars movie to come out. 8. Reading and writing are my passion. 9. John Green and Holly Smale are my favourite authors at the moment. 10. My favourite food is dried mango. 11. My favourite animals are owls and meercats. 1. I started blogging in June/July 2013. I think it's one of the best things I have ever done. 2. I started blogging because I love reading and writing and it seemed a great thing to do. 3. My favourite books are: The Fault In Our Stars, A Thousand Splendid Suns and Memoirs Of An Imaginary friend. 4. I would travel to France, (Paris), because I'm learning French and I want to test out my skills and see the Eiffel Tower! 5. My fictional crush is Augustus Waters from The Fault In Our Stars. Hands down. 6. My favourite film is The Bling Ring. 8. Some of my hobbies and interests include: reading, writing and cooking. I used to love fishing! 9. My favourite thing about blogging is all the nice people in the book blogging community. 10. Blogging has taught me about how many people love reading and love the same books as me! I love being able to talk to people about books. 11. Some blogging advice I would give is make sure you blog for the fun, not for the followers. My 11 questions: 1. What are your favourite books? 2. Do you have any role models? Who? 3. Why did you decide to blog? 4. If you were stuck on a desert island, what fictional book would you have with you? 5. Who is your favourite fictional character? 6. What is your favourite food? 7. Any hobbies/interests? 8. Any favourite quotes? 9. Where is your best place to cosy up with a book? 10. What's your favourite thing about books in general? 11. When did you start your book blog? Thanks to Tash for nominating me! I nominate: Heather, Emdawg, Elizabeth, Jenn and Isabel. I could only find 5 blogs! I've already done it, but I'll happily do it again!